Sharp decline MCX copper today. MCX Copper is down more than one percent. Copper is currently trading around Rs 410. The fact of the rupee against the dollar has recovered today. Also on LME copper is trading in a dull metal pressure on the domestic market is being witnessed. In New York, COMEX copper for Se ptember delivery closed at $3.10 a tonne, up by 1.13 %. Three - month copper on the L ondon Metal Exchange ended at $6,830 a tonne, 0.92 % up from $6,775 at the close on Friday . Copper prices rose after the dollar eased from 3 years high and pushed prices up . However, concerns over Growth in China which is expected to slow down to a 23 year low limited the upside in prices . Stocks in Shanghai warehouses fell which indicated some pick up in physical demand and supported prices . Base metals are expected to go up today on positive Chinese CPI numbers which came at 2.7 and an easing dollar index. 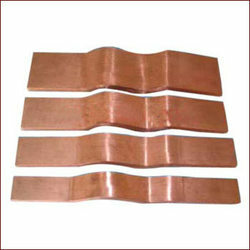 ~ Sell MCX Copper in August deliver at Rs 410 Targets 409, 408 Stop Loss 412.